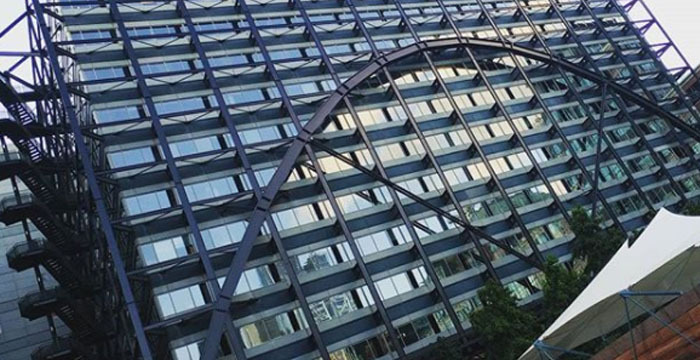 Herbert Smith Freehills (HSF) has become the second City outfit to ask its partners, lawyers and support staff to disclose office romances. The new global policy will, according to HSF, “provide a framework to deal sensitively, consistently and fairly with personal relationships which may affect the business”. The fresh guidance, Personal Relationships in the Workplace, isn’t intended to prohibit lawyers from having a personal relationship “with a work colleague, client or supplier”, HSF stressed, but is about staff using “common sense” when deciding whether or not to disclose romantic liaisons. The advice — which forms part of an update to HSF’s Global Dignity at Work policy — follows a similar relationship-related move by Linklaters. Earlier this month, the magic circle player urged its lawyers to disclose work romances to “an office, group or practice head or HR contact” to ensure “any actual or potential conflict of interest” is properly managed. Back to HSF and the firm has also launched an external whistleblowing hotline called Faircall. The new service, which is run and monitored by accountancy titan KPMG, allows staff to report concerns about behaviour such as “professional wrongdoing, harassment or other misconduct”. Linklaters launched a similar service, SpeakUp, earlier this month, too. I think city firms better start replacing humans with robots. It seems as if they’re turning humans into robots anyway. It’s a bit like bromance but going balls deep. Ah , now you’re using terms I understand. Nope. Unrequited obsession is outside the scope of the policy. Oh no, lady Hail, why don’t you love me? How many more articles do I have to write?? Hah. The real KK would never misspell my name. Amateur. We disclose our “office romances” over drinks and overenthusiastic high-fives every evening. BUT it could be worse. You could be beasted and work a battery chicken farm like CMS. Simple really. When relationships go wrong in the workplace the employer may well find themselves liable for any subsequent claims. See S109 of the Equality Act 2010 and note the statutory defence. Bonking clients I had always understood was a professional ethics issue. Given that there is nothing whatsoever in this policy that tries to prevent relationships I do not understand the problem. I can think of a few reasons why its problematic. Free time? Are you having a laugh sunshine? HR – so renowned for their common sense. Methinks HSF HR have been watching too much Designated Survivor – Kendra would be proud! HSF certainly steaming ahead on the more “controversial” issues – disclosing work relationships, paying for gender reassignment surgery – great stuff for the new graduate recruitment brochure…..
Rise of the day care centre for grown-ups. And what do they think they can actually use this information for? Playing with fire to say the least. They use it at magic circle firms, like CC or Links! The only way to get rid of office relationships is to make them mandatory. Human beings being what we are, anything forbidden (even if only lightly frowned upon) immediately becomes more attractive. These new policies probably will lead to more cubicle passion, not less. If I was young single and back in the City job I had in the 90s, I’d not so much as look sideways at anybody; would shun closed-room one-on-one meetings, lunches, department drinks dos and firm parties and generally be a right tedious git with 100% office / private-life separation – only guaranteed way to keep your job. Not that big of a hardship either; lawyers aren’t overly interesting as a rule, you’d have far more fun with a separate non-lawyer circle well away from work; and, certainly in London, not hard to have a rich social life with nary a lawyer or work colleague in sight. So many work relationships are down to mere laziness.